The series finale of USA Network’s show Burn Notice aired yesterday, Sept. 12. Its dedicated audience will now undoubtedly have to search for another show to fill the time previously dedicated each week to Michael Westen (Jeffrey Donovan). Perhaps the best choice for those recently set adrift is Graceland; USA Network has not been subtle about the fact that these two shows are of the same genre and cater to a similar demographic. Since the start of Burn Notice’s sixth season, there have been countless advertisements for Graceland during commercial breaks, and once the seventh and final season started, the network decided to air Graceland’s first season immediately after Burn Notice episodes. The similarity between these two shows, however, goes far beyond simply having the highly-trained main character and his friends seek justice without resorting to calling the police. The whole premise of Burn Notice is that the main character, Michael Westen was framed for crimes he knew nothing about, subsequently losing his job as a spy for the Central Intelligence Agency. This leads to seven seasons worth of Westen and his friends tracking down exactly who committed the crimes, figuring out who framed him and attempting to get his job back: a task he is not entirely sure he wants to accomplish. All of this is done while the team avoids the police, CIA, FBI and the occasional criminal. 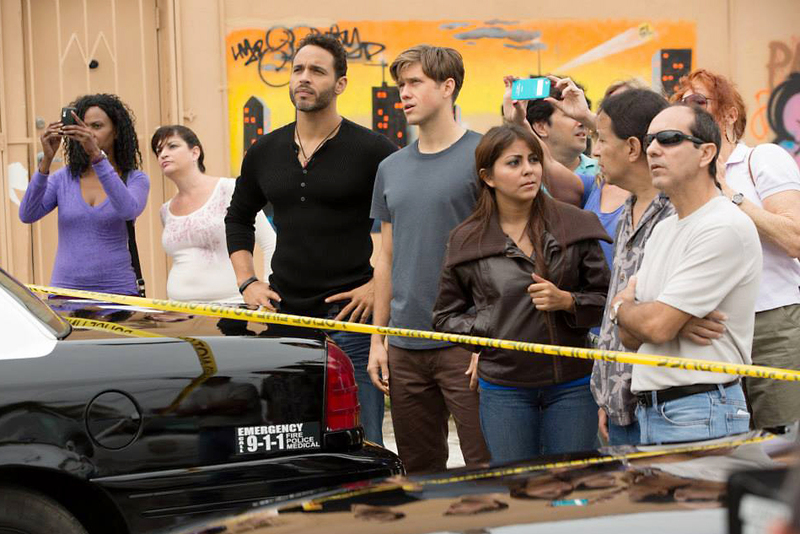 In its first season, Graceland started its plot along much the same line. While the main character, undercover FBI agent Mike Warren (Aaron Tveit, Les Misérables), has not personally been accused of a crime, his training officer has, and it is Warren’s job to figure out if his training officer is guilty, as well as why he would have committed the crimes to begin with. His goal is already similar to the goals of the Burn Notice protagonists. Just as Westen needs to avoid the detection of the government, Warren must not get caught by other undercover agents, which includes his friends, or by the criminals with whom he is undercover. Such similar plots and the way Graceland was advertised should be enough for those who liked Burn Notice to at least try the new show. This, however, is not where the similarities end. Both protagonists are called Mike, and their last names are similar: Westen and Warren. The writers tried to give both Mikes a complicated relationship, but ended up creating a subplot of little value to the rest of the show. In Burn Notice, Westen is in love with another main character who occasionally loves him and occasionally pretends not to love him; her reliability is never particularly affected by this. Warren, on the other hand, has a girlfriend who does not know anything about him and seems to serve only as a way in which to show how stressed and conflicted Warren is about his life of secrecy. Neither relationship has much bearing on the overall plot. Action and undercover missions might not be enthralling for everyone, but aside from the unnecessary love-life subplot, both TV shows are worth watching for at least one episode. Although Graceland is a shameless carbon copy of Burn Notice, it is still a good show in its own right, and since Burn Notice has just ended while Graceland is in its first season, USA Network had the right idea of attempting to convert the former’s fans into the latter’s viewers.